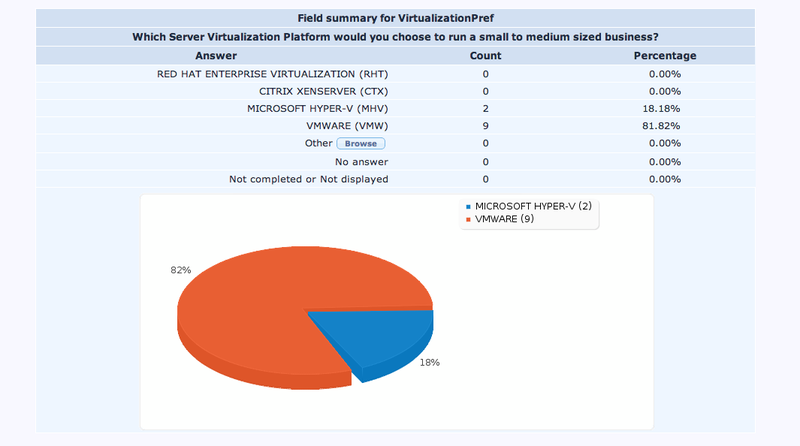 I recently asked posted an informal survey asking a few friends about which virtualization platform they prefer. I only received a few responses, however, I still found the information helpful since the responses I did receive came from a relatively wide range of organizational types and sizes. I expected a higher number of people voting for HyperV, and I suspect that if I would have pushed a little harder for responses from some of my peers I would have seen a higher percentage of people who are pro HyperV. 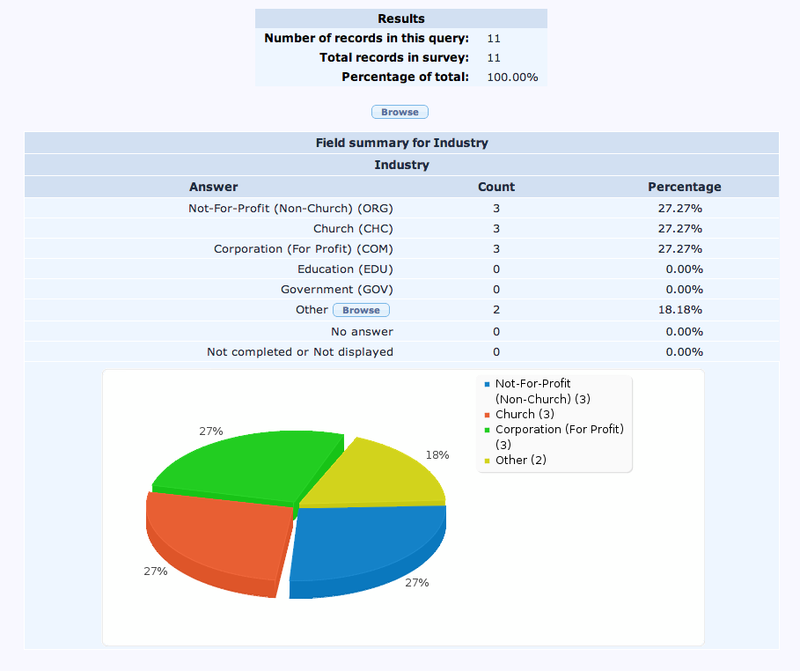 Nevertheless, The results seem to loosely tie to a current ongoing tech debate on the subject hosted by Network World so I am satisfied with the results. I will probably write more on this in the future, since I, of course have my own opinions on the subject. However, I won’t bore you with that now. For now, I’ll just post the results I have below. Mature Platform…Great experience with it [VMWare]…Very rich set of tools . Experience, stability, its what we know [VMWare], the freeware is an option for some but not others. Hyper-V might be a great choice in your situation. The value proposition is great: rich feature set and cheap. In spite of this, VMWare is still a great choice because of the availability of consultants and trained experts. There’s a lot to be said for sticking to what you know and what is the most easily supported. I tried HyperV 2012 and it works fine in a small environment. But, once you connect iSCSI to it and start getting more professional. It wasn’t passing its own tests. I was trying to connect it with FreeNAS. I even rebuilt my storage into windows 2008 R2 with a SCSI initiator… I switched back to VMWare 5.x and bam! Fast and nice and stable! excellent stability, tools, and support [VMWare]. We have clients who use all of them. The stability in VMWare is unsurpassed. We have had nightmare issues with Hyper-V and avoid it if at all possible. [HyperV] Built into the product, better mgmt across apps, much lower cost. 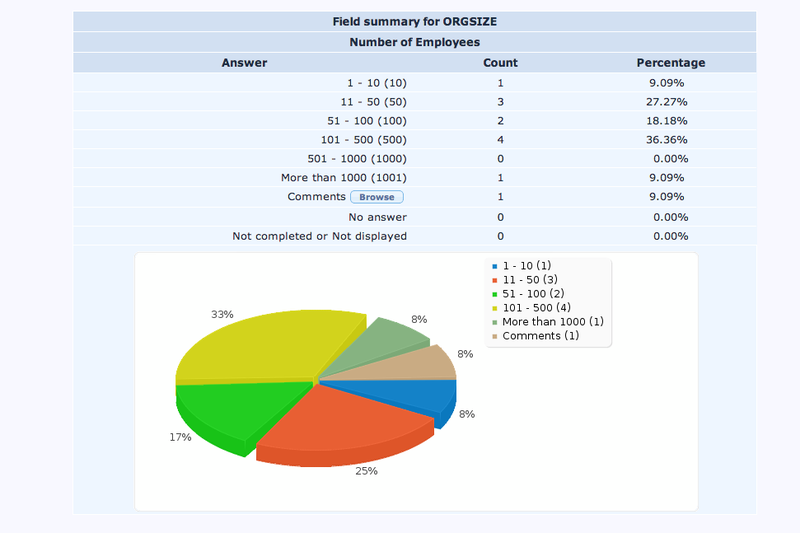 Please Note: In this questions that other category was represented by Consultants and value added resellers.